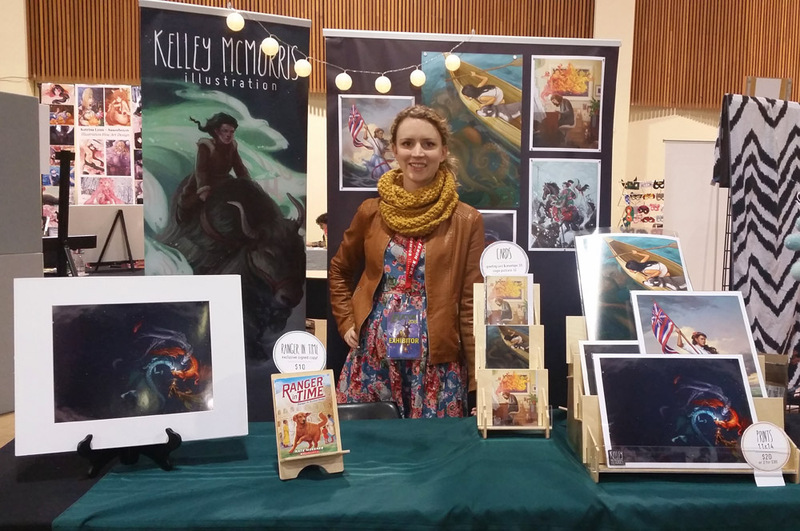 Last weekend I had an artist alley table at Eugene Comic Con. Because this was the first ever EUCON, and because Eugene is not a major city, I wasn't expecting a very big show. But the table fee was really low, and it's just a two-hour drive from Portland, so I figured it was worth a shot. My costs would be so low that I should be able to make them up easily. But wow - the attendance at EUCON was outstanding. Attendees told me that there was a line of people wrapping around the building, waiting for a whole hour just to get in the show! The MC at EUCON was, shall we say, overzealous. 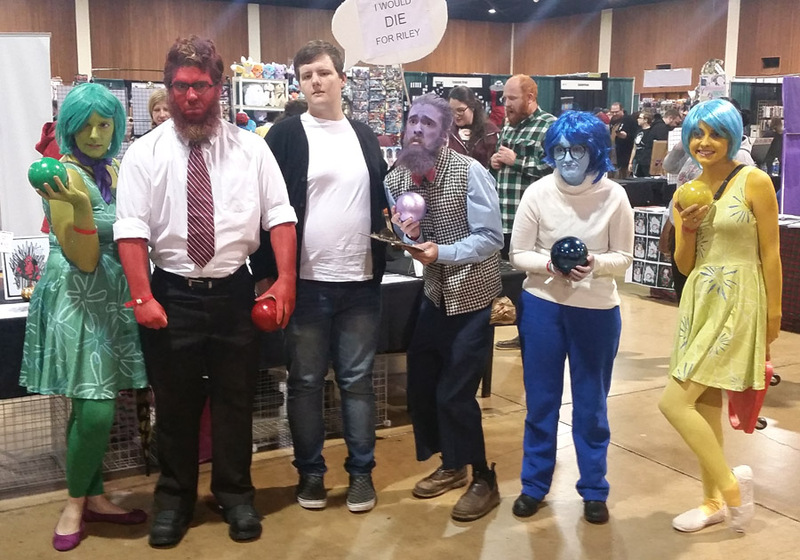 He would repeatedly get on the mic and boom, "Are we having fun at Eugene Comic Con, colloquially known as EUCON??!" A few people would whoop and cheer. Then he would say, "Wow, six people are having fun at a comic con. What's wrong with you people?" About once an hour he would express his disappointment with our apparent lack of enthusiasm - even though obviously the show was going really well. 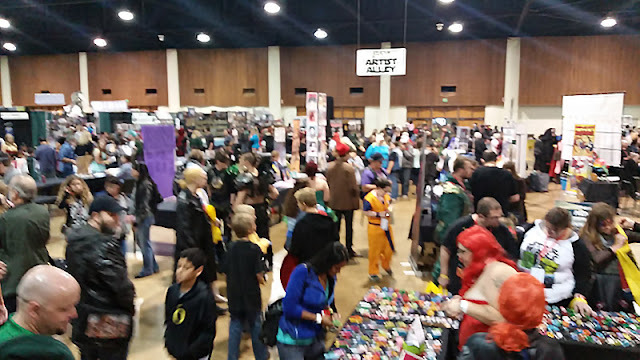 "Wow, three people are having fun at a comic con! Did you guys not get your coffee this morning??" 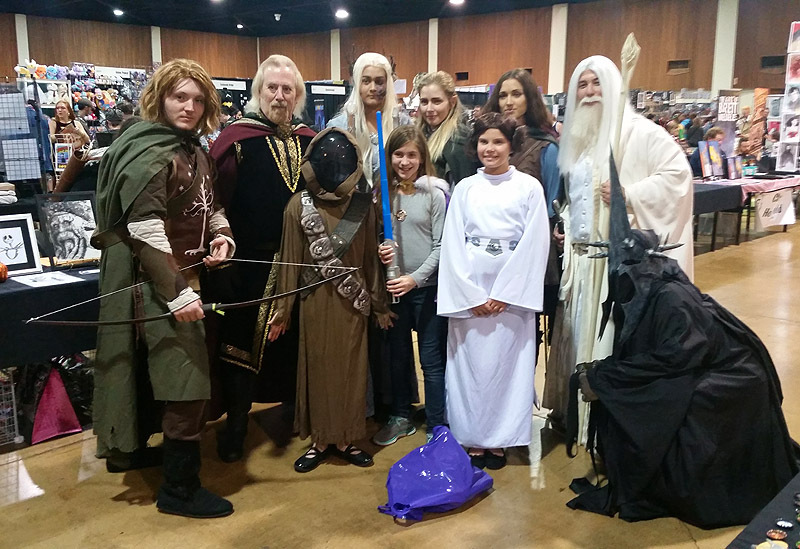 I love that Faramir! And Theoden looks great! 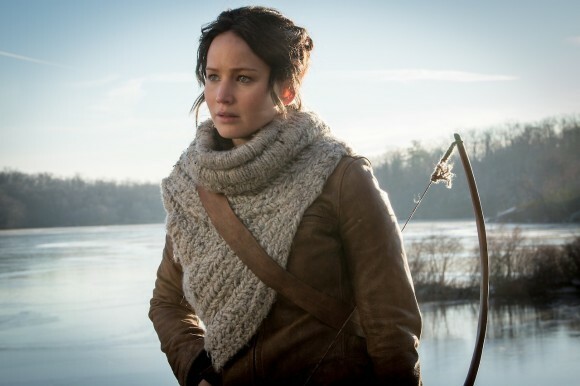 Seeing all the cosplay is so inspiring, I started thinking about putting together a Katniss cosplay. I already have boots and a leather jacket, so all I would need would be to knit her one-shouldered cowl thing - which is no easy task, but there are patterns for it on Etsy. Then put my hair in braids, and get a quiver and a bow and a Mockingjay pin. What do you guys think? Never mind, I don't care what you guys think. I'm gonna do it anyway. Anyway, EUCON was a success and I hope I can go again next year. Congratulations to the organizers - even the MC. But seriously dude, you need to chill out.